This holiday season will see police use changes to the impaired driving laws to charge both alcohol-impaired and drug-impaired drivers. Thanks to reforms in Bill C-46 back in June of this year impaired driving has become easier to detect and charge a driver with the offence. Starting in December 2018 reasonable suspicion is no longer required to pull suspected drunk driver over. Yes, this caused a lot of debate, but it passed despite arguments it violates Charter of Rights protection against unreasonable searches. New portable screening devices can detect the recent presence of recreational and prescribed drugs. Roadside saliva testing detects THC (the psychoactive active ingredient in cannabis) cocaine, methamphetamines, opioids, benzodiazepines (Valium, Ativan) and amphetamines. Police will not be able to use random testing for saliva testing. Reasonable suspicion will still be required before demanding the test. There are a number of arguments against using set THC blood concentrations as a guideline for impairment. Testing THC blood levels to determine a driver’s level of impairment doesn’t take into consideration tolerance to the drug. While this might sound like a pro-drug comment, we should consider to medical marijuana patients that use weed several times a day every day. The government has already proposed its levels, based on nanograms (ng) per millilitre of blood. 2 to 5 Ng of THC: fine of up to $1000 and is not a criminal offence. It is a summary offence and won’t show up on a CPIC record check. Over 5 Ng of THC: mandatory minimum penalties of a $1000 fine )1st offence). A second offence adds 30 days in prison and a third offence will add 120 days in prison. The maximum penalty would be 10 years. 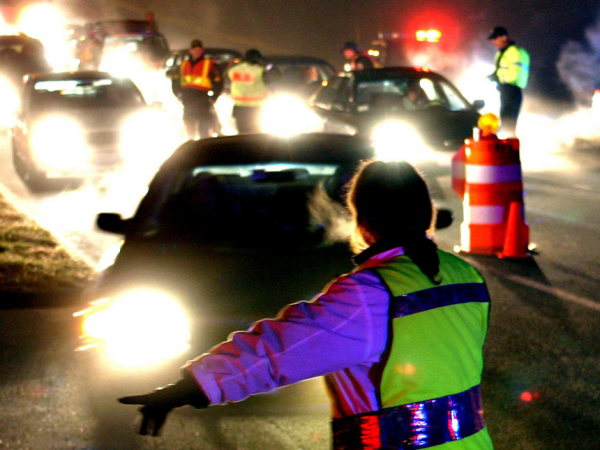 Alcohol & THC blood alcohol: a driver with blood alcohol concentration of 50 mg alcohol per 100 mL of blood (.05 BAC) with a concurrent THC level over 2.5 ng per ml of blood, will carry the same penalties as the over 5 ng of THC. Note: The provinces may add additional penalties on top of this. Depending on the province, testing for impairment will may also consist of a pre-defined system of physical checks for various indicators that a driver is high. Slow reflexes, pupil dilation, co-ordination, shortness of breath and many other indicators are considered before charging the driver with impairment. If you have an old impaired driving or DUI charge and you want to clear your criminal record, we can help. Call us for a free private consultation: 204-453-0099. This entry was posted in Blog, DUI, Impaired Driving and tagged driving high, drugs, marijuana, pot, thc, weed. Bookmark the permalink.